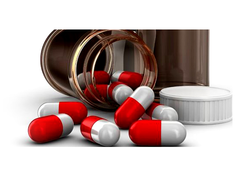 Manufacturer of a wide range of products which include pharma franchise in chhattisgarh, pharma pcd in madhya pradesh, pharma franchise in harda, pharma franchise in hoshangabad, pharma franchise in madhya pradesh and pharma franchise in dholpur. We are an company engaged in manufacturing & marketing of Pharmaceutical Formulations, advanced specialty Injectable, Tablets, Capsules, Liquids, Dry Syrups, Nutraceutical, Herbal, Class Packing's (ALU-ALU) which interest Medical Fraternity. We have in our portfolio, a wide range of products, either different in formulations or having advance technology e. g. Rapid Release (RR) technology or having certain U.S.P (Unique selling propositions) which keeps our brand above the mushrooms of many "ME Toos" in the market. Incorporated in the year 2006, in Chandigarh (India), we “J. M. Healthcare (P) LTD.”, are the distinguished manufacturer and supplier of optimum grade Pharmaceutical Capsules, Pharmaceutical Tablets, Pharmaceutical Syrup, Pharmaceutical Power, Pharmaceutical Injections, etc. Our offered medicines are processed using active agents and modular processing machines under the visionary guidance of trained professionals. These medicines are widely medicated for treatment of different types of problems like infection allergy, asthma, diabetes, cancer, etc. Our offered medicines are made available in a gradation of packaging options, in order to facilitate safer deliveries. These medicines are widely demanded and recommended by doctors due to their enormous features like accurate composition, quick result, effectiveness, safe to consume, hygienically packed, long shelf life and purity. Incorporated in the year 2006, in Chandigarh (India), we “J. M. Healthcare (P) LTD.”, are the distinguished manufacturer andsupplier of optimum grade Pharmaceutical Capsules, Pharmaceutical Tablets, Pharmaceutical Syrup, Pharmaceutical Power, Pharmaceutical Injections, etc. WeJ. 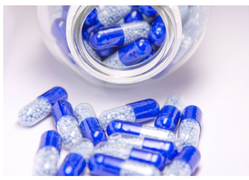 M Healthcare (P) Ltd are one of the prominent suppliers of a wide range of Pharmaceutical Drugs. Our wide range includes Capsule, Soft gels, Tablets and Syrups. We welcome Qualified and experienced individuals as well as Corporates from Rajasthan to become our associates through PCD / Franchise. We offer to them good quality medicines at the most competitive rates in India.We are looking for pharma franchisee of our products in Dholpur. Wanted Pharma franchise in MADHYA PRADESH. We, J. M Healthcare (P) Ltd , are chandigarh based pharmaceutical company. we deals into all kind of allopathic and ayurvedic medicine. 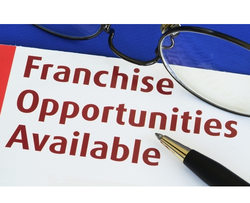 We are looking for PCD-Franchisee based distributors for wide range of products in Madhya Pradesh Districts. Incorporated in the year 2006, in Chandigarh (India), we “J. M. Healthcare (P) LTD.”, are the distinguished manufacturer and supplier of optimum grade Pharmaceutical Capsules, Pharmaceutical Tablets, Pharmaceutical Syrup, Pharmaceutical Power, Pharmaceutical Injections, etc. Our offered medicines are processed using active agents and modular processing machines under the visionary guidance of trained professionals. These medicines are widely medicated for treatment of different types of problems like infection allergy, asthma, diabetes, cancer, etc. Our offered medicines are made available in a gradation of packaging options, in order to facilitate safer deliveries. These medicines are widely demanded and recommended by doctors due to their enormous features like accurate composition, quick result, effectiveness, safe to consume, hygienically packed, long shelf life and purity.